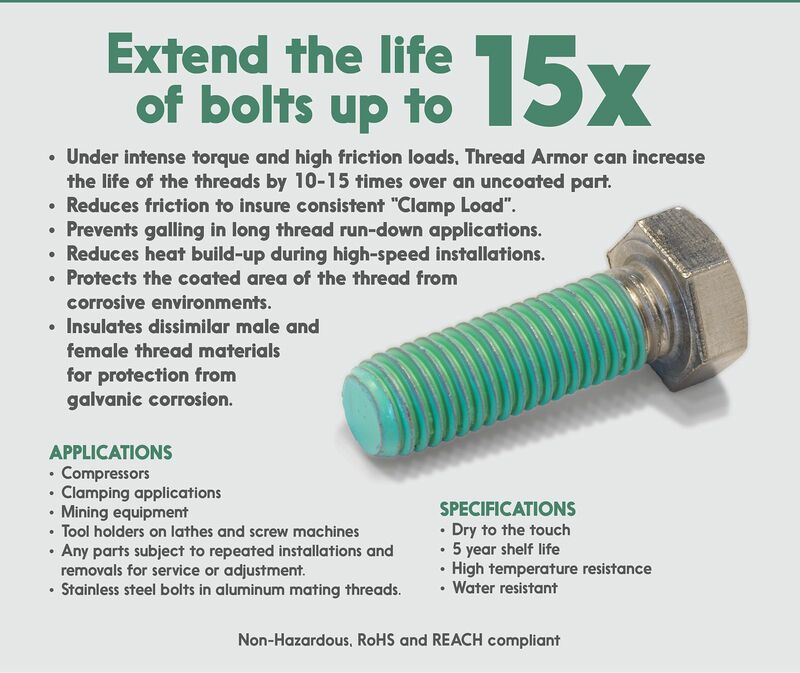 Under intense torque and high friction loads, Thread Armor can increase the life of the threads by 10-15 times over an uncoated part. Reduces friction to insure consistent clamp load. Prevents galling in long thread run-down applications. Reduces heat build-up during high-speed installations. Protects the coated area of the thread from corrosive environments. Insulates dissimilar male and female thread materials for protection from galvanic corrosion. Any parts subject to repeated installations and removals for service or adjustment. Stainless steel bolts in aluminum mating threads.